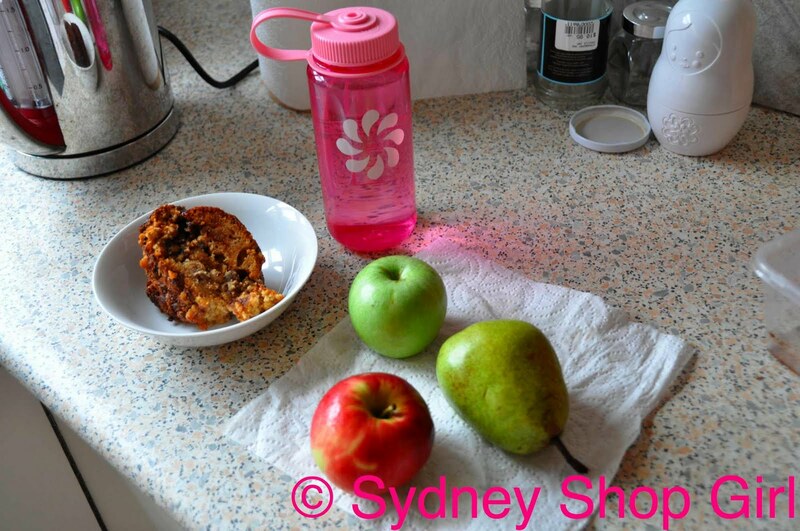 Sydney Shop Girl: The weekend done andante. It's going to be a semi-slow weekend, things are going to be done at an easy walking pace. Otherwise known as andante. The things I remember from piano lessons. All those years of sheet music, keys, remembering (and applying) the suggested tempo and volume markings for each bar. I was not a natural pianist. My two major weaknesses being lack of pitch and steady rhythm. Still, there were several things piano lessons taught me. I do appreciate music and I have a nebulous knowledge of music history that enables me to listen to ABC Classic FM with some frame of reference. On a more practical level, the years of practice, strict teachers, goal setting and exams set me up for academic and working life. Sometimes there are things that you may dislike or not be great at but the process of learning and completing the task brings other rewards. Fortunately, today will not be filled with reflections on my childhood experience and its implications on my adult life. I'm taking things easy because of the foot. It would be disaster if those stitches burst. No running, no swimming and no household chores (that last bit was by order of Dr SSG). Keeping house is fraught with dangers. I have to admit, I'm getting antsy. It's only day 2 and I'm already missing my daily run and just getting around quickly. God, grant me patience! 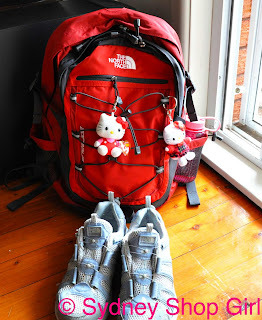 I'm going for an easy walk around the Rocks today for a photography class. Got my field trip snacks. The cake, of course, will be in more portable packaging. It's a recipes from allrecipes.com and is one of those legendary creations based on a box of cake mix. It is called Cinnamon Coffee Cake II and is goof proof. I use Betty Crocker cake mix and White Wings pudding mix. The next time I make it, I'm going to try a local brand of butter cake mix. Just to be adventurous. Dressed sensibly for a day of walking. 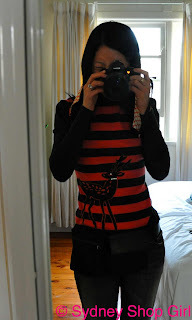 Rudolph jumper from Alannah Hill (never too early in the year to bring out Rudolph), jeans SFAM, Gucci bumbag. It's my Bridget Jones / Mark Darcy moment. As promised, my H-Kitty'd backpack and sensible walking shoes to keep me moving at an easy walking pace, I promise. I love your Bridget Jones, Mark Darcy moment! Glad you took the photo cause I would never have imagined a Rudolph sweater looking so great! And the bum bag ... who knew they could look so "sophisticated"! Where do I get one? Five years On A Friday. Breakfast At Baroque. Raindrops On Sydney. Soul Princess Asks, Sydney Shop Girl Answers. The SSGs Embrace Chunk and Shine. Good Chairs. The Kindness Of Strangers. It's Business Time. Sun, Sand and Prawns in Noosa. 6 & 10. I'm back! A pupil of the school of disparate images. Wedding Reflections. A Literal Interpretation.